New Award Winning Line Set Of 5 GoToob Squeezable Travel Tube! 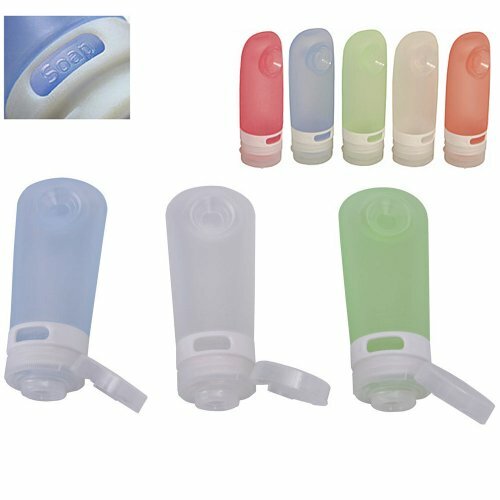 The translucent bottles collection is great way to travel organized. Capacity is 2 fl oz (60 ml). This product is so neat that you can mark the contents, just lift and rotate collar to soap sun etc, and then snap into place. Handy suction cup on the back, lets you briefly attach to walls for moments when you need your hands free. If you have any questions about this product by Lewis N Clark, contact us by completing and submitting the form below. If you are looking for a specif part number, please include it with your message.